Cedar came to Everlasting in the spring of 2008. 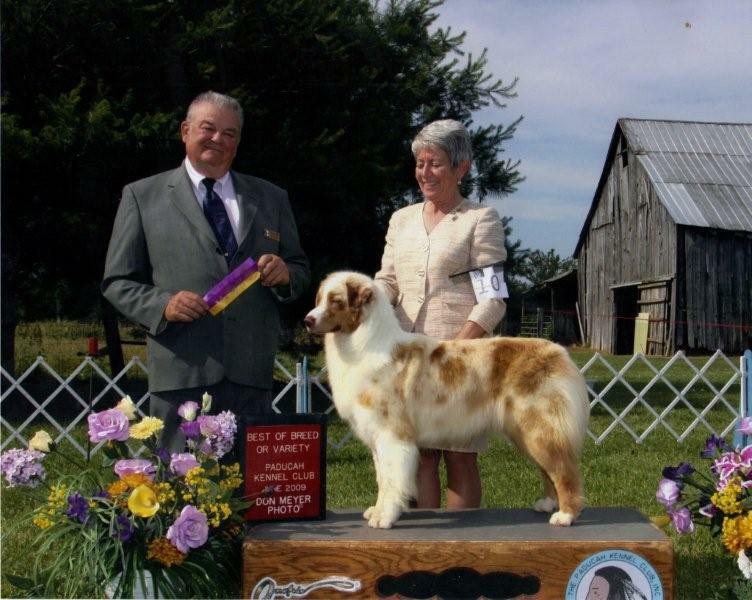 She was leased from Radikel Aussies for a breeding to Rudy. 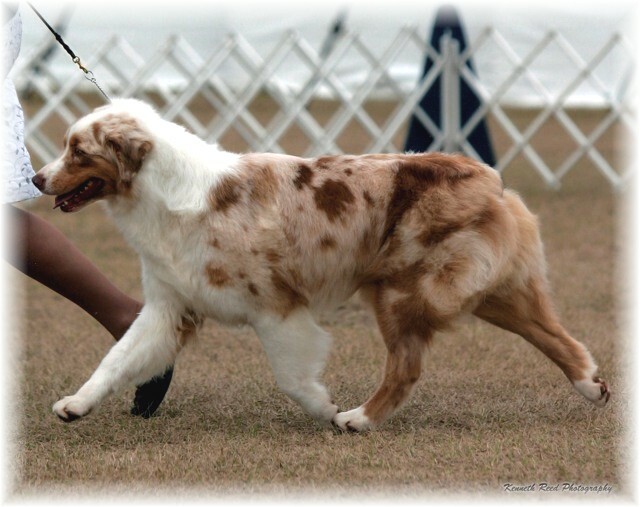 Cedar has a wonderful temperament and adjusted quickly to our family. 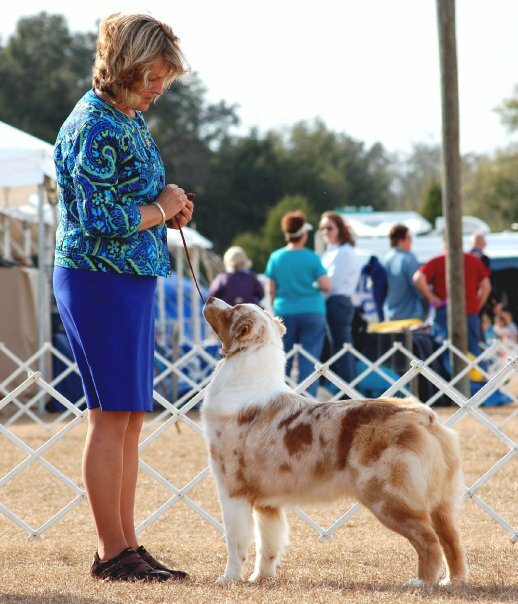 She has been shown in conformation and has 9 points towards her championship. 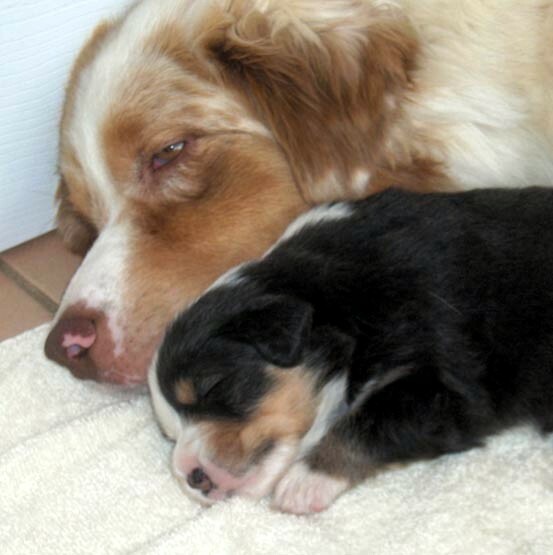 On June 12th 2008, Cedar whelped a litter of ten puppies. Our first litter in over 8 years. Cedar and RJ enjoying an afternoon nap. Copyright 2009 Everlasting Aussies. All rights reserved.